What can FBLA & DECA do for me? Have experiences that can change your life! Want to know how many points you have so far this year? Click here to see your progress towards earning active membership and your activity letter! Planning to compete? Take a look at our Career Cluster & Event Match document to help select your event! Competition sign up is now closed, but feel free to peruse our match document so you know what you want to compete in next year! Miss the last meeting? See the presentation below. FBLA-PBL is a dynamic organization of young people preparing for success as leaders in business, government, and communities. Our mission is to bring business and education together in a positive working relationship through innovative leadership development programs. Each February, FBLA students attend the Regional Leadership Conference. At this conference students have the opportunity to compete in events testing their business knowledge and skills. Top performers at RLC qualify to compete at the State Leadership Conference in spring. Many of these competitions require considerable research and practice; others are staged at the conferences. Top SLC event winners are then eligible to compete for national awards at the National Leadership Conference the following summer. 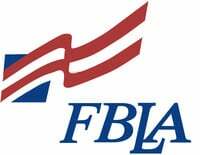 The National Leadership Conference recognizes and rewards excellence in a broad range of business and career-related areas for FBLA, PBL, and Middle Level members. It prepares students for successful careers in business through support for curriculum development and innovative assessment tools. In addition to offering a wide array of competitive opportunities for students, the National Office also offers leadership conferences, workshops and networking opportunities to all its members. DECA is a nationwide association of marketing students that has been around since 1946. It is a CTSO (Career Technical Student Organization), or, in other words, it is a club that is closely related to a vocational academic area. For example, FFA is another CTSO. DECA has five divisions, but its high school division is divided into three levels: local, state, and national. At the local level, individual clubs at each high school, called chapters, can do projects and activities as the chapter officers and advisor see fit. The chapters in a state comprise the state or provincial associations that can take on larger initiatives. Hartford DECA is part of the Wisconsin DECA association. When all 56 state and provincial associations join together, they form national DECA: DECA Incorporated. The high school division offers chances to enhance the marketing experience in the classroom with real-world applications at Career Development Conferences. There are also chances to develop leadership skills, improve social abilities, and to complete service. This is an organization for those interested in developing marketing skills, a career in business, becoming a better leader, making some new friends, or just having fun.